ISLAMABAD, May 3 (APP): President Mamnoon Hussain Tuesday said that the time has come for the Muslim Ummah to adopt a common strategy to deal with terrorism, as terrorists were tarnishing the image of Islam with their misguided ideology. 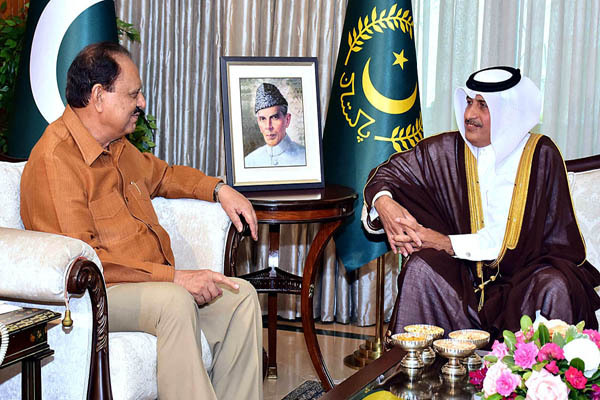 The President said this while talking to Saqr Bin Mubarak Al-Mansouri, Ambassador of Qatar to Pakistan who called on him at the Aiwan-e-Sadr. The President said that Islam was a religion of peace that believed in the sanctity of human life and did not allow the killing of people.